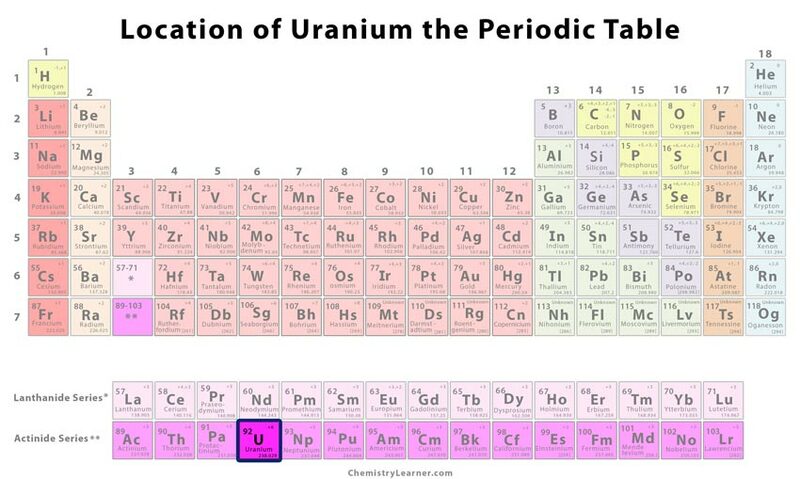 Uranium (pronounced as you-Ray-nee-em) is a radioactive metal denoted by the chemical symbol Ur. 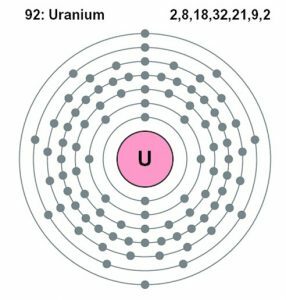 It has twenty-one isotopes of which only Ur-234, Ur-235, and Ur-238 exist naturally, the last one is the most commonly known isotope with the longest half-life of 4.5×109 years, undergoing decay into thorium-234 through alpha decay or spontaneous fission. Although it is a good source of nuclear energy, there are both pros and cons of using it. Origin of its Name: The name has come from Uranus, the seventh planet of the solar system. In 1789, Klaproth dissolved the mineral pitchblende, collected from silver mine resources, in nitric acid. He obtained a yellow precipitate when the solution was neutralized that was suspected to be an oxide of a new element. 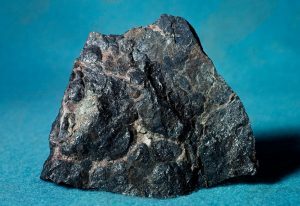 As a result, he made an attempt to produce it by heating the precipitate with charcoal, but couldn’t succeed. 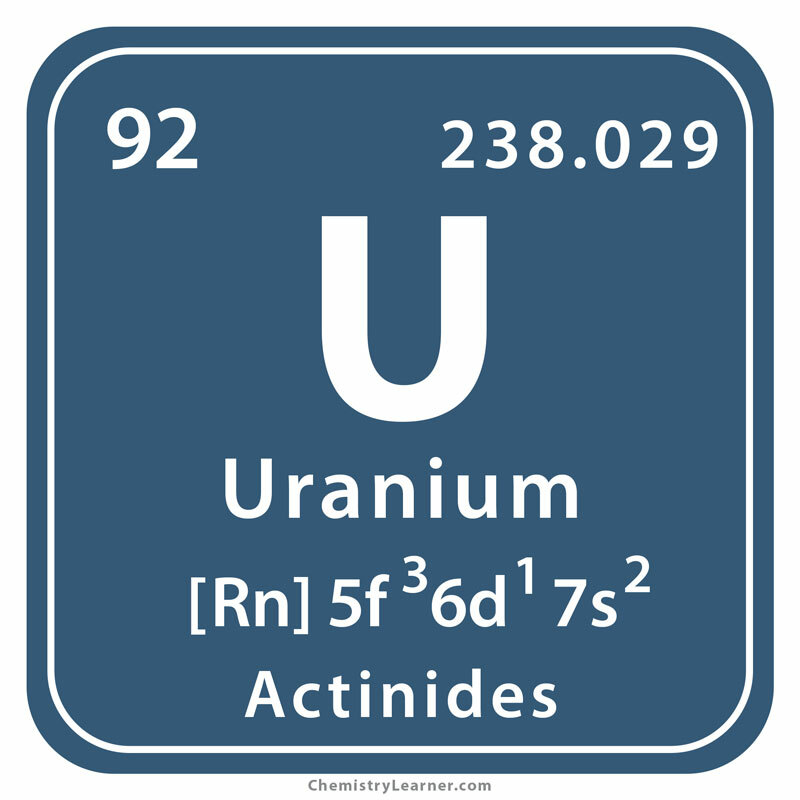 In 1841, the French chemist Eugene Peligot heated uranium tetrachloride with potassium and extracted the new metal. 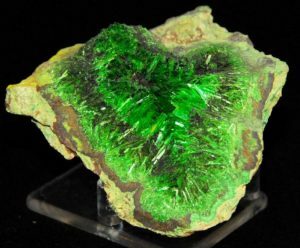 It was later named as uranium. 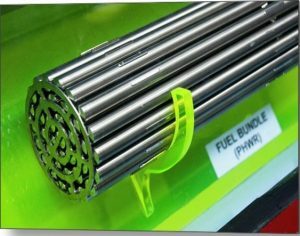 Raw uranium traded as yellowcake is mainly used in the preparation of non-renewable fossil fuel rods for generating electricity at nuclear power plants [1, 5]. Ur glasses are sometimes used in the making of decanters, marbles, and vases. However, due to its radioactive properties, the manufacturing of the glasses have been restricted. In the ammunition industry, the depleted uranium is used in bullets and shells. 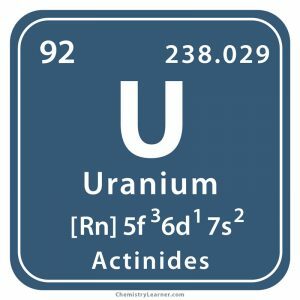 Uranium-lead dating method required in geological age-determination is based on the fact that Pb accumulates in Ur minerals as per the known radioactive decay rates of the parent isotopes . The nitrate of the element, uranium nitricum is useful in the treatment of diabetes, hypertension, and edema . Long-term exposure to its radiations has been linked to respiratory ailments and renal toxicity. When inhaled or ingested in excess, it causes lung and kidney failure as a result of acute poisoning. 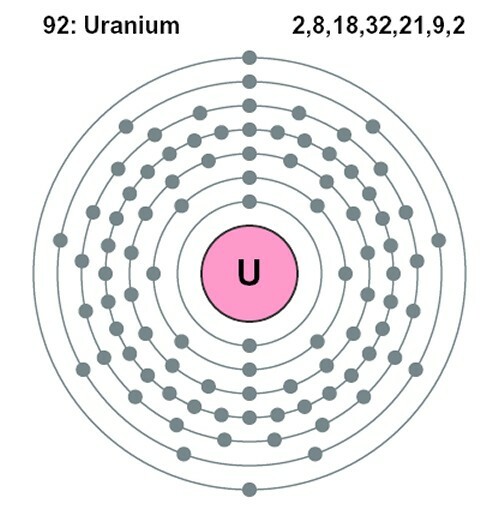 Refined or enriched uranium higher contentment used in the making of high-grade weapons comprises a higher percentage of Ur-235 that is extracted with a gas centrifuge from the pure element . Uranium bomb named as ‘Little Boy ‘was one of the atomic bombs dropped on Hiroshima, Japan during the World War 2 . 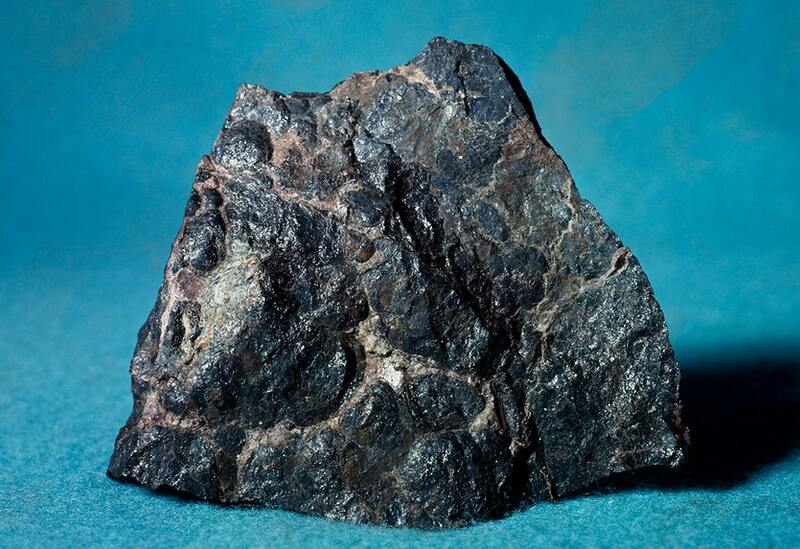 It is believed to have formed from a supernova explosion in the universe . 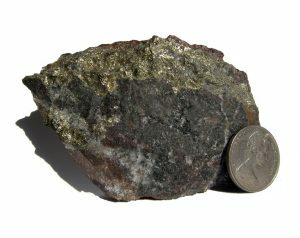 The cost of the pure metal may vary between $33 and $35.